Solar energy is a unique source of power that can be applied in many ways. 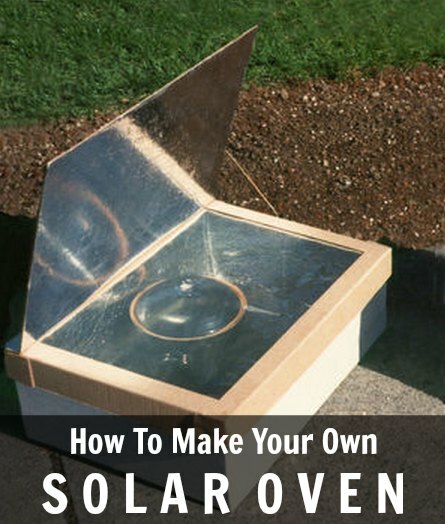 One option is to make your own solar oven to cook food when no other equipment is available. This is a great way to prepare any basic meal when camping or to use in any emergency situation. The materials that are needed for this project are easy to obtain and may even be found around your home. A simple solar oven can be made by using a few cardboard boxes. This is a simple design that provides you with an oven that is lightweight and will be easy to set up. The only downside is the cardboard will need to be protected from moisture. You may want to modify the design or use better materials if you are building a solar oven that you want to use for a long time. You will need to prepare the cardboard boxes and tin foil to build a simple solar oven. Tin foil is a product you can easily find at any local supermarket or dollar store. Duct tape and glue can be used to assemble the pieces for your solar oven. You will also need a can of black spray paint. This can be found at any local hardware store or a home improvement store. Heating the container of food in a simple solar oven is done by reflecting heat into the oven and trapping it so that the temperature increases over time. You can easily use a regular thermometer to see the temperature, but a digital or thermal thermometer will be a better option. The container to use for cooking food in your solar oven needs to be cast iron as it will get hot fast when a constant supply of heat is applied. Customization might be needed to improve the efficiency of the oven if the cooking temperature is not adequate. This is one benefit of a DIY design.